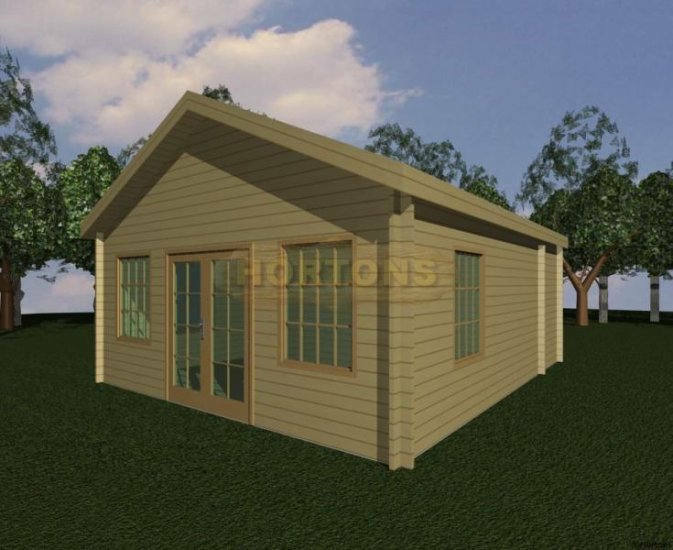 At UK Log Cabins we are delighted to be offering a fabulous range of residential log cabin homes you’ll love to live in. 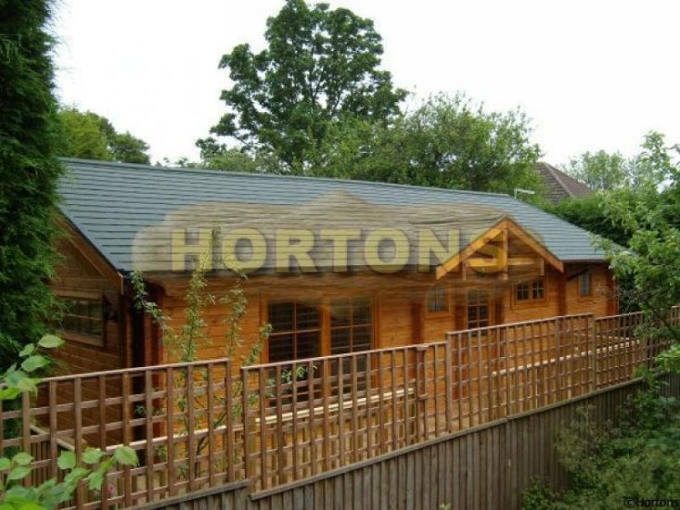 Timber homes are an increasingly popular residential choice, and our residential log cabins are a perfect cost-effective solution for a beautiful home. Wood is a wonderful building material. Not only is it a renewable resource, wood is a fantastic natural insulator and has a relatively low carbon footprint for building with and to live in. 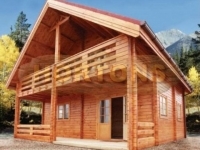 Log cabins are an eco-friendly solution for living and blend perfectly with natural surroundings. Our beautiful log cabins offer the opportunity to have a bespoke home made in a relatively short space of time at a relatively low cost. 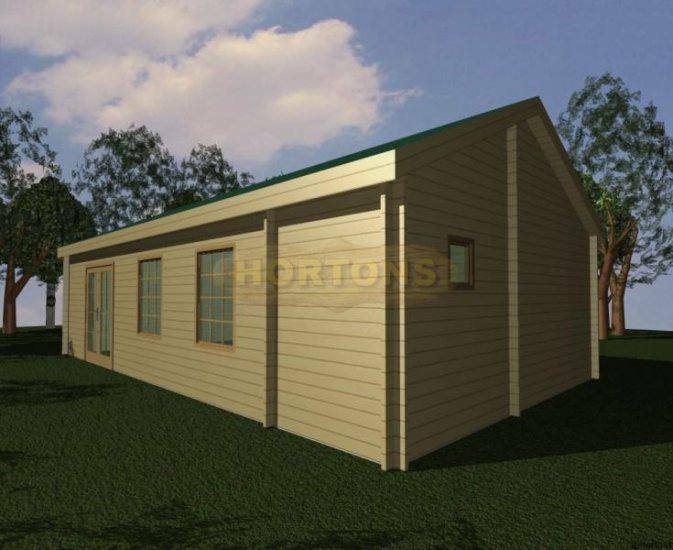 Compared to conventional brick-built homes, a log cabin can be ready for you to move into in a matter of weeks. 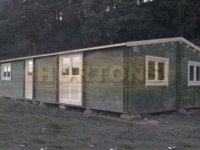 Our self-build log cabins are suitable for even the most difficult to access sites. At Log Cabins UK we understand how much individual style matters. 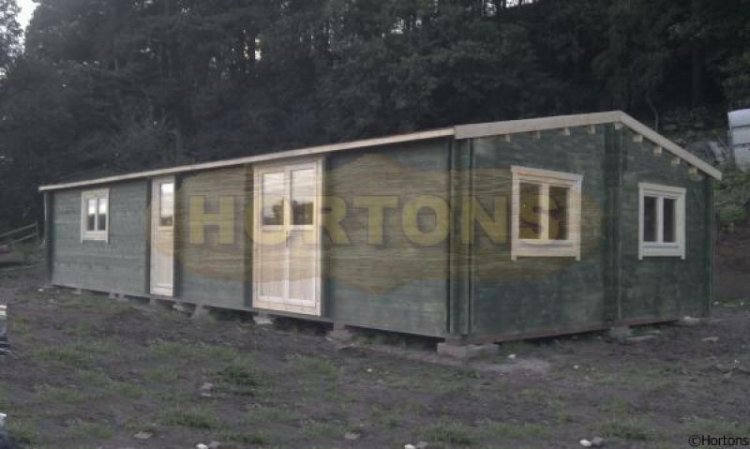 That’s why we’ve developed a huge range of styles to ensure you find exactly the kind of residential log cabin you are looking for. Our vast selection of residential log cabins includes many different shapes and sizes, from compact bungalows to substantial 2-floor houses. Unlike choosing any other type of home, with our residential log cabins you get to choose from a huge range of accessories to suit you and your surroundings. From various styles of double-glazed windows and doors, to timber treatments, paint colours, roof felts and additions such as verandas or raised timber bases, you’ll get a timber home with exactly the specifications you desire. 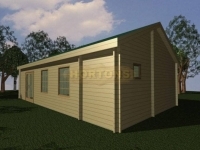 If you like our residential log cabins, but want one tweaked to suit you, it’s no problem. Share your ideas with us and we’ll design you a perfect bespoke residential log cabin incorporating all of your own design ideas. We are passionate about what we do and we want you to have the perfect timber home to match you and your lifestyle. Our well-designed and expertly made residential log cabins are appropriately insulated, making them comfortable to live in all year round, no matter what the weather. 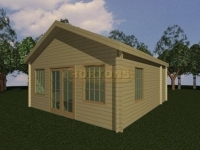 Fully insulated twinskin timber houses and bungalows are composed of 2 individual walls separated by an insulation cavity, which can be filled with various types of insulation. The insulated walls in our residential log cabins have the equivalent thermal value of a solid wall, but a solid wall would be 3.5 times thicker. Our habitable specification 45mm twinskin provides a wall thickness of 180mm – to achieve the same insulation from solid timber would require a 600mm thick wall! Our fully insulated solution saves on space, materials and costs. It’s very important that building regulations and planning laws are followed for your own peace of mind. 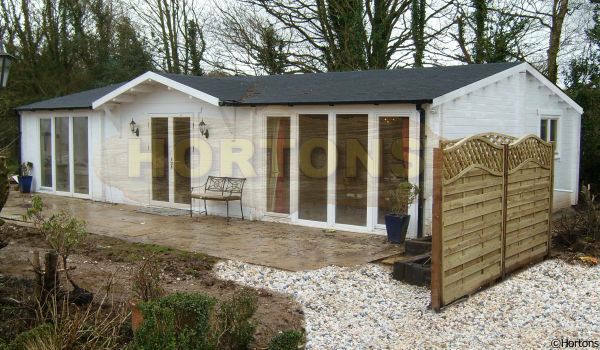 All of our designs are built to a very high standard and comply with the appropriate regulations for residential park homes as a minimum. 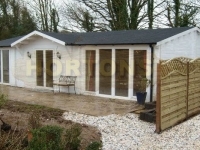 The usual UK building regulations don’t apply to park homes, but we can easily upgrade any of our designs to comply with the building regulations for permanent habitation in places other than mobile home parks, which usually just means thicker insulation. Be sure to check with your local council regarding planning application requirements and restrictions. We believe that everybody should do their bit to protect the environment and all companies have a special responsibility to minimise the impact of their activities on the natural world. All of our timber comes from sustainable sources and we do everything in our power to keep our carbon footprint to an absolute minimum. We are committed to sustainability without compromising on quality or safety, and we are constantly striving to improve our production techniques in line with our sustainable philosophy. 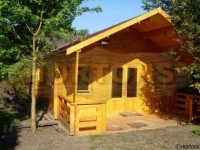 Contact us now to find out more about our fabulous residential log cabins. Call 01293 822722 and one of our professional, friendly team will help you with all of your queries. Email us at sales@hortonsgroup.com or simply fill out the form below. We’d love to hear from you. Alternatively, we’d love to see you at our showground, The Log Cabin Showground, Handcross Road (B2110), Plummers Plain, Lower Beeding, Horsham, West Sussex, RH13 6NX. 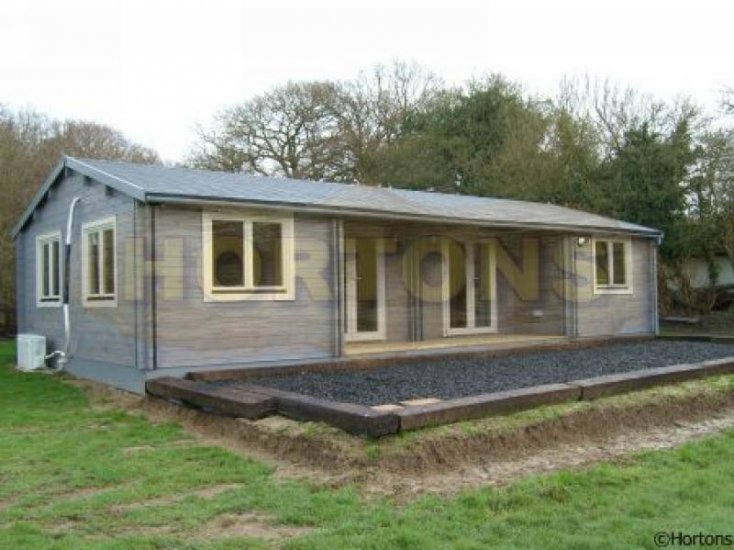 If you want a beautiful home that makes a great visual impact, is practical, warm and won’t break the budget, our residential log cabins are the perfect solution.